ASOIAF fanart of the Red Viper from G. R. R. Martin's books. 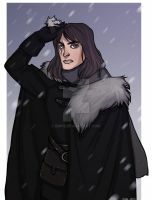 Many of you said i should do more asoiaf fanart, so here he is as a start. Awesome! I like this version better then the one in the show actually! Well done !